MUSKOGEE — Three officers with the Muskogee Police Department shot and killed Andrew Kana, 36, of Ponca City, at a Muskogee restaurant about 2 p.m. Monday, Nov. 12. The officers were dispatched to the I Don’t Care Bar and Grill to contact Kana on several outstanding warrants. Officers attempted to place him in custody for the warrants. Once one hand was in handcuffs, Kana refused commands for his other hand and pulled a firearm. One officer fired at Kana and struck him in the chest. Kana was pronounced dead at the scene. 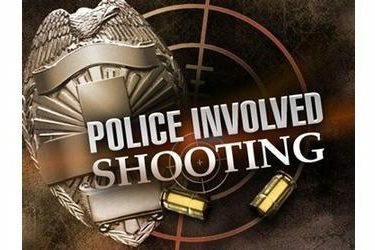 Three officers were present at the time of the encounter, and all three are on routine paid administrative leave pending the outcome of this investigation. Officer body worn cameras were active at the time of the incident and the videos will be released at a later date after the officers have been interviewed. Muskogee police said Kana had four warrants, including one from Muskogee County for Domestic Assault by strangulation with no bond. He also had three nationwide extradition warrants out of Idaho for Assault and Battery with a dangerous weapon, Possession of a Firearm after a felony conviction, and domestic assault in the presence of a minor child. Those warrants had a $500,000 bond. Over the course of several years, Kana also had several court cases in Kay County. On April 26, 2018, he was charged with a felony count of child abuse by injury with a $50,000 bond. He entered a plea of no contest on July 25, 2018, and received a 10-year suspended sentence. He also was awaiting trial in Payne County on a charge of assault and battery in the presence of children.